Seems a second IT guy made another mistake and made available an online configurator from which someone was able to get a few pictures of the next-generation X5 (F15). As expected the new SUV is very similar to the previous one, although they have tried to differentiate it from the X3, managed to make it look like the 3-Series. For example, the rear lights are almost the same, only slightly larger. 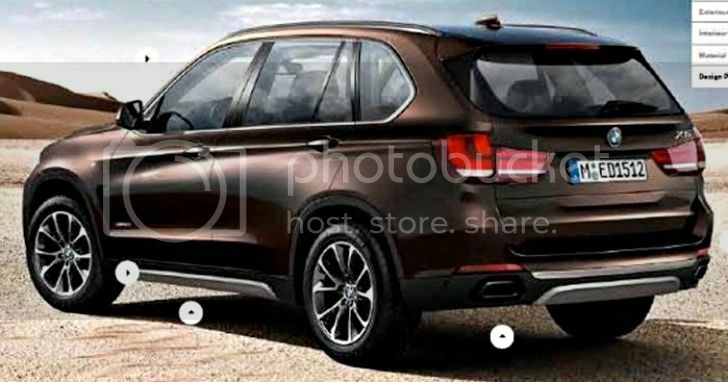 Besides the normal X5 there will be a X5L that will have a larger wheelbase to allow an extra row of seats, thus being able to sit seven people. The new BMW will keep the V6 and V8 engines from the outgoing model, but will have a new four-cylinder diesel engine, probably the one in the 325d and 125d, with 218hp and 450Nm.